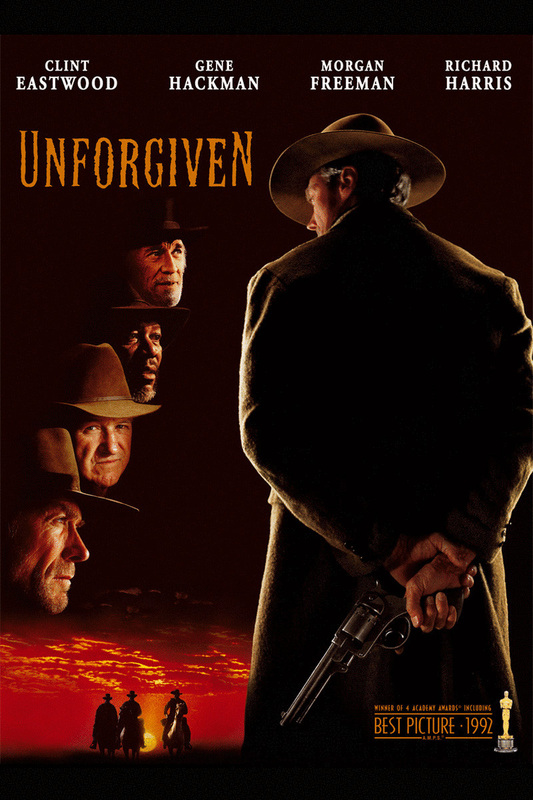 Unforgiven (1992) | 'TAIN'T THE MEAT… IT'S THE HUMANITY! After an uninspired run of movies during the Eighties it looked as if the Nineties would bring more of the same from Clint Eastwood. But in 1992 Eastwood not only showed he was still a creative force to be reckoned with he also breathed new life into that most tired of film genres: the Western. Eastwood plays William Munny, an ageing and widowed gunfighter who has renounced his violent past and settled down as a pig farmer. In need of funds to support his young family he reluctantly accepts an offer from an old friend (Morgan Freeman) to help collect the bounty on two cattle hands who have slashed the face of a whore in the town of Big Whisky. Along the way they meet a young aspiring gunfighter trying to make a name for himself and Eastwood tries in vain to dissuade the young man from his chosen path knowing full well where that path will eventually lead. Throw in Gene Hackman as Big Whiskey’s pugnacious sherif and Richard Harris as another ageing gunfighter, English Bob, and the result is both a homage and a deconstruction of the genre as the film explores the nature of atonement – can a man with a violent past really out-run his true nature? – and examines the origins of myth in the Old West. 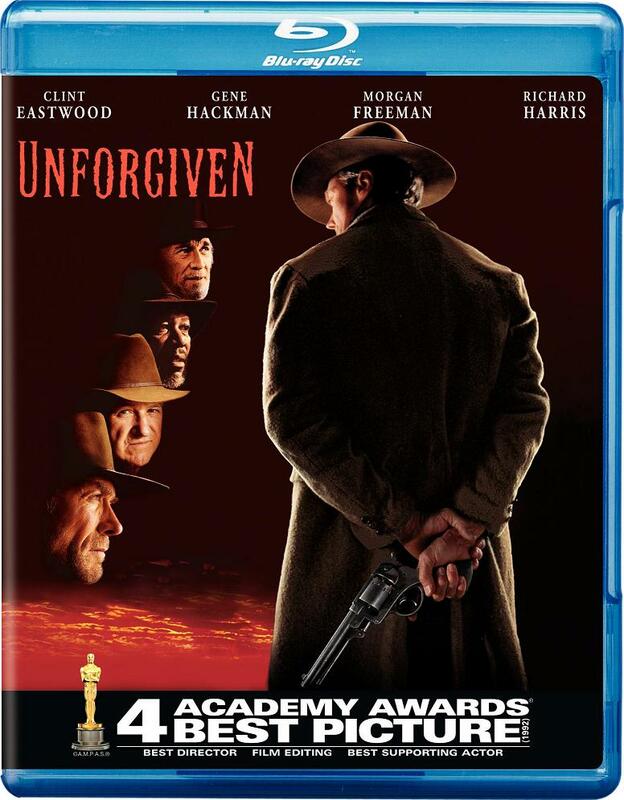 Unforgiven is as assured a piece of film making as any in Eastwood’s long career. Even with a supporting cast of Hollywood greats it’s Eastwood’s typically understated and gravelly performance that shines. Who else but Clint Eastwood could threaten an entire town with death – as his character does in the films last scene – and make you believe it? The film won four Academy awards (including Best Director and Best Picture) and propelled Eastwood back to the top of Hollywoods’ A list. He dedicated the film to the two directors most responsible for establishing his earlier career: Sergio Leone (“Fistful of Dollars”) and Don Siegel (“Dirty Harry”).